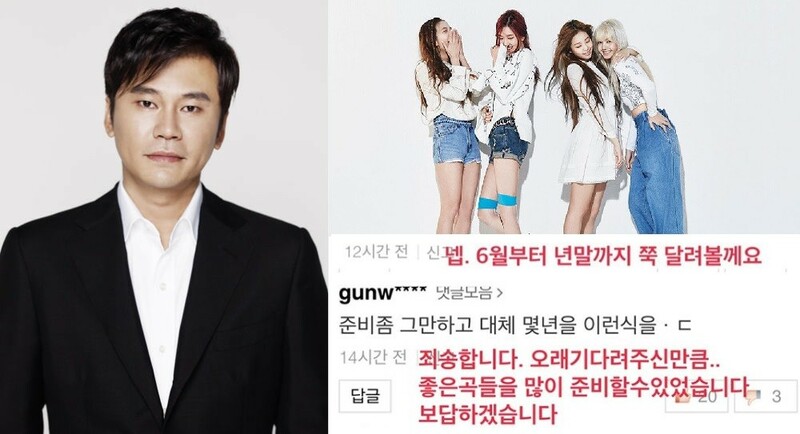 Yang Hyun Suk answered fans' burning questions about Black Pink's comeback via SNS! Q: Please release an album... not just digital singles... they have been active for so many years yet there's no album. YG: You are right, a hundred times. It won't be like that this time around. Q: Let's confirm the date first, before thinking things in advance! YG: Yes... it has been confirmed for mid-June. Q: Stop it with the preparations...For how many years has it been like this. YG: I apologize... as much as you waited for us, we we able to come up with many good songs. We will make it up to you. Check out the newest Instagram Q&A below! Are you psyched that Black Pink might actually release an album this time?